We received our first delivery of 2013 silver Britannias on the 9th November 2012 when we still hadn't seen them advertised on The Royal Mint's website. 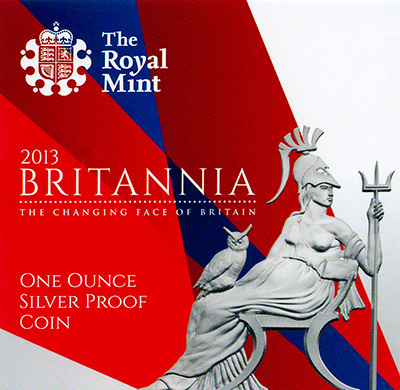 We received our delivery of 2013 proof Britannias on 27th August 2013. 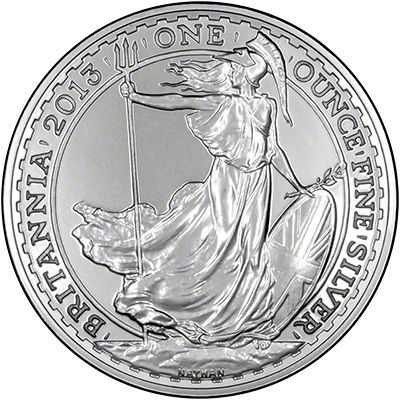 Since their release in 1997 silver Britannias have always been struck in - rather aptly - Britannia silver. Until this year. 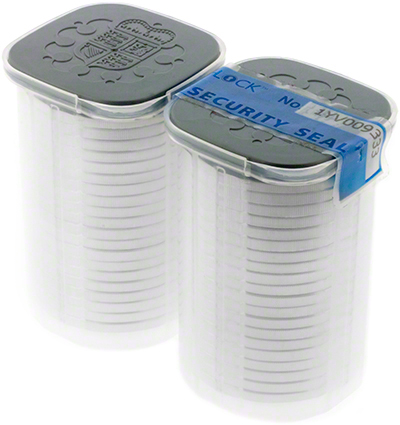 Silver Britannias are now being struck in 0.999 silver as opposed to 0.958 Britannia silver. We are not sure of the exact reasons for this - and can only speculate at this point - but we imagine it is to bring them in line with other World Mints. The Austrian Philharmonic, Chinese Panda, American Eagle, Canadian Maple and Australian silver bullion coins are all produced in fine silver. We think it's a shame that The Royal Mint have opted to change the purity of the Britannia as opposed to designing a new one ounce silver bullion coin but who are we to question why? For the first time, the proof Britannia is a different design to bullion. This year, in addition to the change in purity, the Britannia has also faced production to a much lower quality. We believe having a different design for the proof version is to further differentiate between the proof and bullion versions, encouraging more collectors to purchase both. 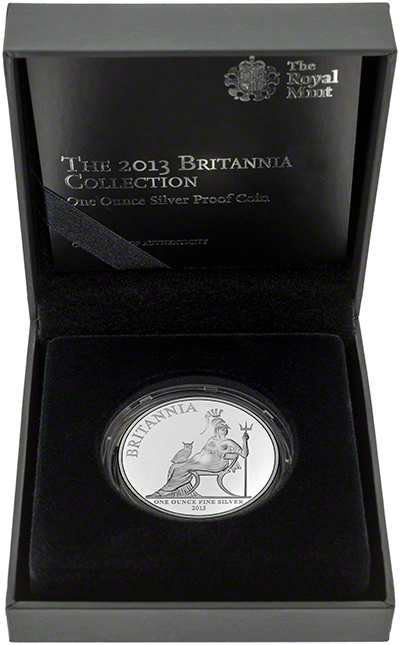 Designed by Robert Hunt, the 2013 silver proof Britannia features a seated Britannia, with her head turned to one side. The owl perched on her lap symbolises wisdom whilst Britannia listens to those outside of Britain. 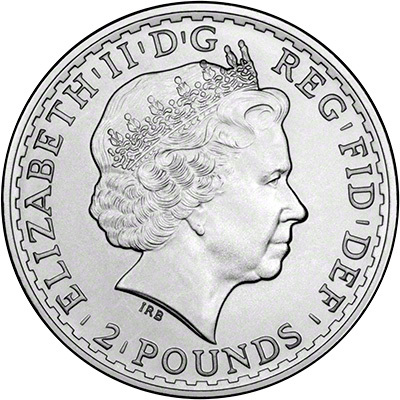 Introduced in 1997 following the success of the gold Britannia, the Royal Mint started to produce a one ounce silver Britannia coin with a face value of two pounds (£2).The concept of the one ounce bullion coin was to provide an easy way to purchase convenient small quantities of bullion silver in the form of coins. For the first time in 2013, the purity is 0.999. Here is an oxymoron. A silver Britannia coin which is not a Britannia silver coin. Yes the British Royal Mint, in their infinite wisdom, have changed the alloy of the silver bullion Britannia coin from 958 parts per thousand fine silver to 999 parts per thousand. 958 fine silver is known as Britannia silver, and was first introduced in 1697 partly to deter clipping of silver coins. Ever since the Royal Mint started making silver bullion Britannias in 1998 (there were proof ones in 1997), they have always been made of Britannia silver. As far as we know, the Royal Mint have not publicly stated the reason for the change., but we suspect it may be for export markets, which are probably more important for the Mint than the domestic market. Now the new ones are made of 999 fine silver, they could be useful in an emergency. (For American viewers, we dial 999 not 911). The change could just be to save costs, as the blanks for the new coins will not need to be alloyed, cutting out a stage in production. Fourth Portrait. 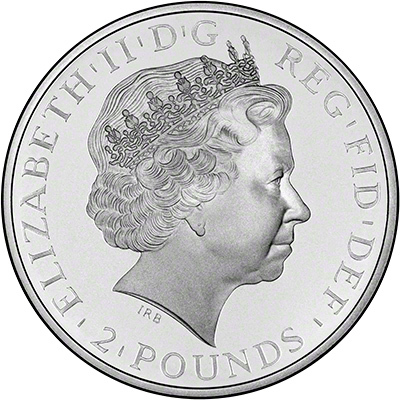 From 1998, as with all British coins, the obverse design changed to the "fourth portrait", showing a more mature likeness of The Queen. The reverse of this coin is the classic standing Britannia. Although the Royal Mint charge more for their silver Britannias than most if not all other mints, the production quality is now definitely the worst we have seen for any bullion coin from any world mint. Presumably some bean-counting accountant was decided to cut production costs by churning out cheap crap. How this squares with the fact the their marketing experts talk big about building and protecting the Royal Mint brand, we are at a loss to understand. Possibly they think that because they have a world monopoly for producing British coins, and as disposals of sterling are exempt from Capital Gains Tax, British silver investors will have no alternative, therefore will accept whatever the Mint chooses to supply. This is the typical greedy, short-sighted, thinking we have have come to expect from them. They must have lost sight of the fact that some people collect bullion coins, and may regret it in future. If quality of finish is important to you, then buy any other silver bullion coin. The most competitively priced are generally the Austrian Silver Philharmoniker, although "Our Choice" is even better. The quality is so bad we have written a blog post to try and highlight this problem to more people. You can read more here. When compared to the Royal Mint price of £92.50 you will make a saving of £7.50 per item when ordering from us. 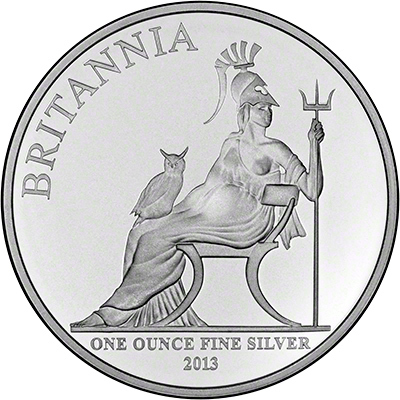 To further confuse matters, in 2013 The Royal Mint issued an uncirculated Britannia featuring the seated with owl design (the same as the proof), and also a bullion Britannia which features the classic standing Britannia design. As at 30th November 2014, the uncirculated Britannia was on sale at The Royal Mint for £57.50. The silver bullion Britannias are only available to Royal Mint bullion customers with a minimum order quantity of 40 coins. Many of our customers are happy to invest in silver and pay the VAT, currently at 20% and we are more than happy to supply investment silver. The advantage of purchasing silver Britannias over any of the other silver one ounce coins is that as they are legal tender Sterling they are exempt from Capital Gains Tax (CGT). The silver proof version should be available later on in the year and it should also be available in a set. Please see our Silver Britannia Sets page for further details. There is also the usual gold proof version. For as long as we can remember the silver Britannias have been issued in sheets of 20. This year, as The Royal Mint are trying to break in to the bullion markets they have not only changed the alloy but have also changed the packaging. These coins are now issued in tubes of 20. Due to the weight of the tubes not all orders will be supplied in the tubes. If you would prefer to receive your coins in tubes then please telephone us so that we can discuss your requirements with you. We have earlier Britannias available. If you have an enquiry about any of our Silver Coins, we'd be happy to answer you, but please note it may be quicker to telephone us. Please see the Contact Us page of our website.